In this contemporary period of prolonged undeclared wars, where lethal-force conflicts are waged not against designated nation-states but against rhetorical abstractions (Terror) in the name of other rhetorical abstractions (Freedom), speech and language are important loci of power. 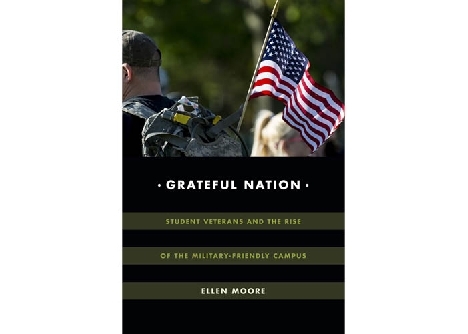 On contemporary college campuses, the needs of student veterans, veteran support programs and veteran identities have become instrumental in the quest to produce military friendly institutions and the valorization of military projects in everyday life, through mandated silence about the current wars and ritualized gratitude as expressed in the phrase "thank you for your service." This presentation draws from ethnographic research on U.S. Iraq and Afghanistan war veterans as they shift from combat to community colleges and university classrooms. It traces the deployment of silence and praise in veteran support organizations, in trainings, and in college classrooms, as they become, in the words of Comeroff and Comeroff, the animating vernacular around which the discursive flow is organized. This study finds that processes of silencing are not only produced though large-scale public displays of military prowess and patriotism; they are also produced in small, everyday classroom practices and through affiliative speech acts. Veterans have highly variable and often contradictory responses to public displays of gratitude and develop ways of using their iconic status to contest mythologies surrounding imposed veteran identities.